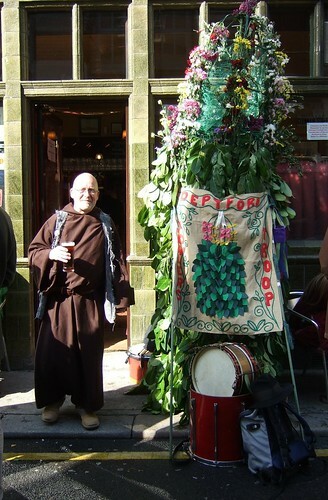 May 1st isn’t celebrated widely in London, but the handful of people who do honor this day of class struggle and pagan roots do it in fantastical style. 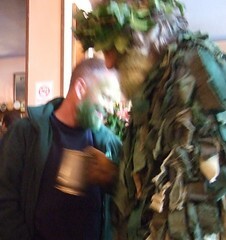 Yesterday I went boozing with Jack-in-the-green, a leafy giant and his attending bogies, men dressed in green rags and ivy crowns. Following them were a motley group of musicians. We wound our way through the streets from one pub to the next, startling the suits and rushing commuters. 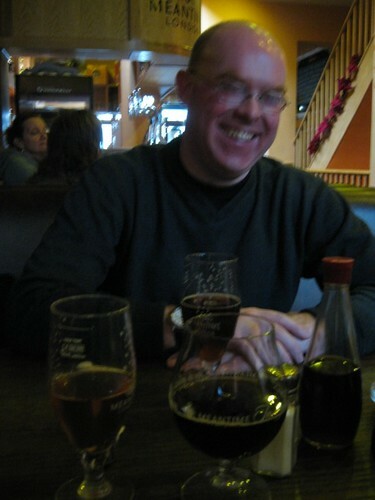 We started with Adnam’s May Day golden ale while waiting at the Charles Dickens for the revelers to show. In our pessimism– they were over 40 minutes late– we turned to Sharpes Cornish Coaster. 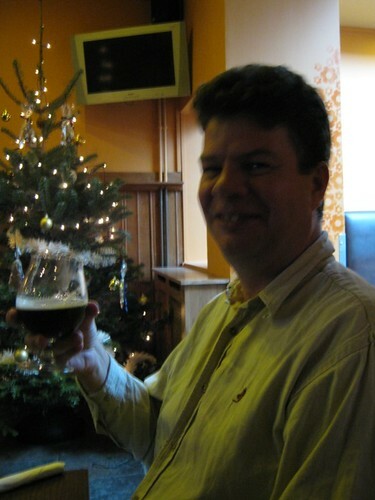 But once they arrived– rather mysterious and triumphant– we were treated to a pint of bitter by a kind, green-faced gentleman from Hastings named Jim. I took no notes. I was too busy dancing.